Some of our toughest and most visible fabric, these reflective cloths are exceptional for a variety of outdoor activities. Need to spot gear in inclemental weather or starry nights? Our 8 oz. sq. yd. SuperGlo Reflective Polyester is just the fabric you need. This high quality 100% polyester fabric is perfect for use in items where high visibility is required. An aluminum or fluorescent orange color-coating is applied to the fabric followed by glass reflective beads. Plus this fabric is UV resistant! Perfect for all your outdoor needs! 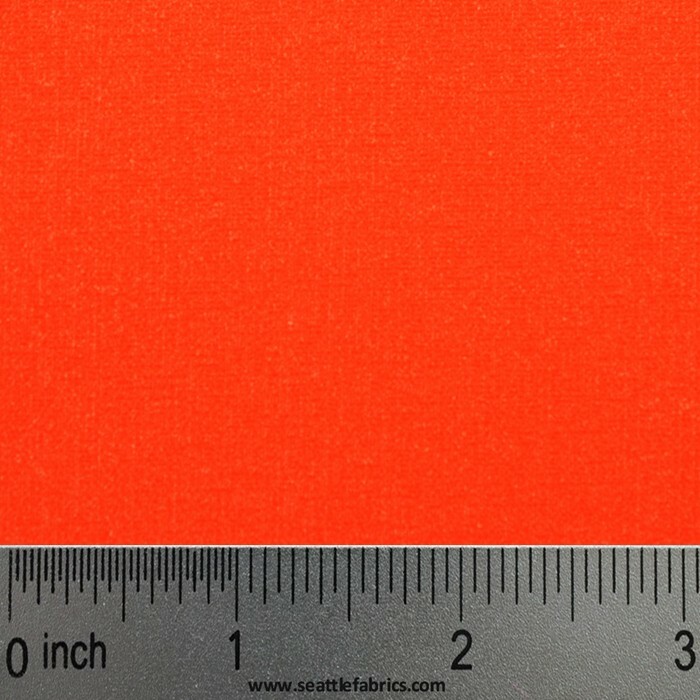 This high visibility cloth fabric was made for boat covers, motorcycle covers, outdoors clothing, safety vests, bags and much more! We can ship this polyester fabric in aluminum or Fluorescent Orange. if we are out after the sun goes down. One of the best ways to combat this problem is to wear clothing made from reflective cloth. This way whenever a vehicle's headlights shine on us, we are much easier for the driver to see. For maximum Many of us lead a very active life and trying to stay safe while involved in outdoor activities whether for work or pleasure can be a challenge. In many cases our activities require us to mingle with motorized traffic and this puts us at risk of being hit by drivers who may not be able to see us, if we are out after the sun goes down. One of the best ways to combat this problem is to wear clothing made from reflective cloth. This way whenever a vehicle's headlights shine on us, we are much easier for the driver to see. For maximum visibility you might consider wearing an outfit that is completely made from some form of reflective materials so that no matter what angle you are being approached from the driver will be able to see you. If you do not want to be quite so reflective you need to consider wearing a shirt, jacket or vest that features high visibility cloth. allowing the driver to see you from far enough away to be able to take the appropriate action to avoid running you over. For those who work on the highways and byways, they have one of the riskiest occupations in the world dealing with hundreds of vehicles passing them by every day while they are on the job. It only takes one wrong step and one inattentive driver to result in a tragic accident. Other than paying very careful attention to everything around them, most road construction workers now wear a variety of clothing made from high visibilitycloth from simple vests to complete outfits to help drivers see them in the dark or foul weather. Other uses for reflective fabric include making a huge variety of patches for different uses including military and civil service uses. While many fire departments use black or tan firefighting clothing, all of them have some form of reflective markings such as stripes and patches attached. While you may not stick out as much as you would if you were dressed from head to toe, you will still stand out in the vehicles headlights allowing the driver to see you from far enough away to be able to take the appropriate action to avoid running you over. For those who work on the highways and byways, they have one of the riskiest occupations in the world dealing with hundreds of vehicles passing them by every day while they are on the job. It only takes one wrong step and one inattentive driver to result in a tragic accident. Other than paying very careful attention to everything around them, most road construction workers now wear a variety of clothing made from high visibility cloth from simple vests to complete outfits to help drivers see them in the dark or foul weather. Other uses for reflective cloth include making a huge variety of patches for different uses including military and civil service uses. While many fire departments use black or tan firefighting clothing, all of them have some form of reflective markings such as stripes and patches attached. This is to help make it easier to spot a firefighter at night or inside a burning structure if there is little to no light or heavy smoke. Even your kids can benefit from using high visibility cloth on their book bags and coats to help drivers notice them as they walk to and from school every day. Image how much less stressed you will feel knowing that people will be able to see them walking down the road in the dark or in the rainy weather. No matter what you are doing, if you must be out at night or in the bad weather, you can reduce the risk of severe injury or worse if you make sure that others can see you. 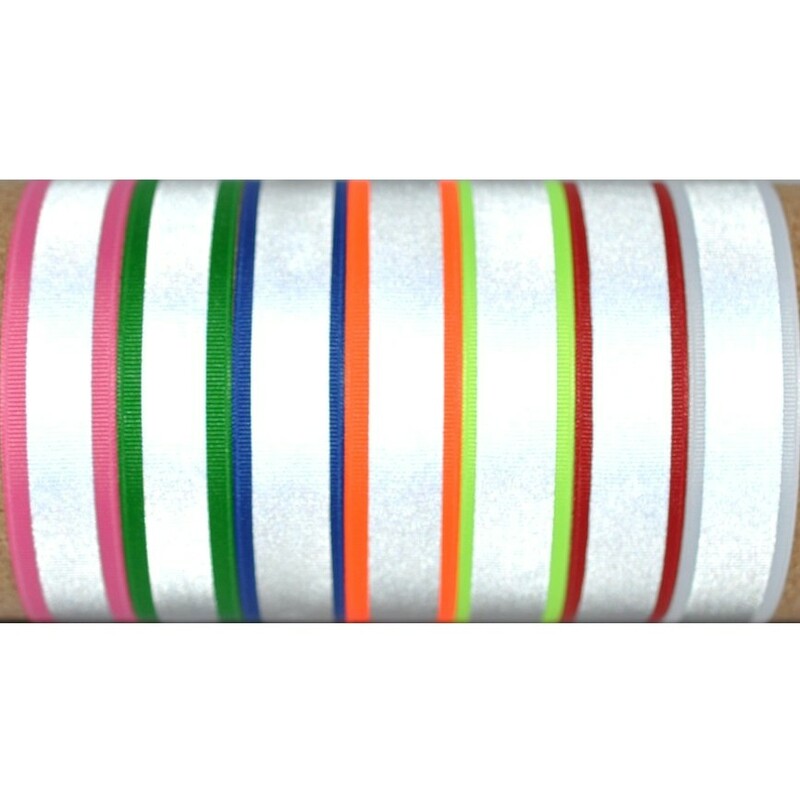 If you are looking to make your own reflective clothing or just looking for reflective fabric to add protective stripes and patches to your existing clothing let Seattle Fabrics be your supplier. They carry a comprehensive line of fabrics, patterns and hardware to help you go from a pattern to a finished product all at an affordable price.